This playground has a play structure with a sand pit. 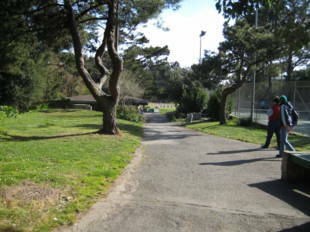 There is also a softball field, tennis court, and basketball court. 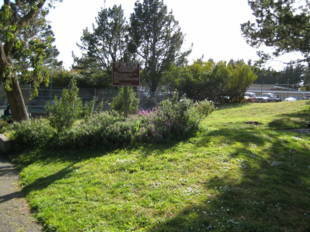 A nice area to take dogs for walks; however, it is not an official "off-leash" area. In addition, there is a clubhouse and rest rooms on site. 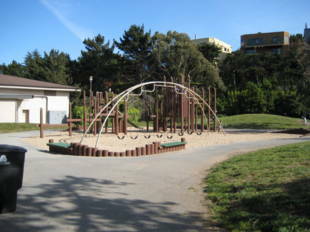 George Christopher Playground is owned by the San Francisco Recreation and Park Department. 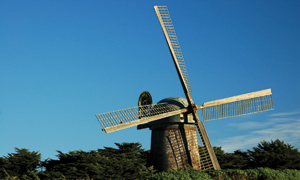 The park was named after George Christopher, the 34th Mayor of San Francisco. He served from January 1956 to January 1964. 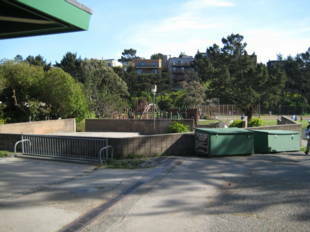 52-Excelsior -- Diamond Heights Boulevard and Duncan Street or Diamond Heights Boulevard and Gold Mine Drive. From Duncan, walk south; from Gold Mine, walk north past the shopping center.